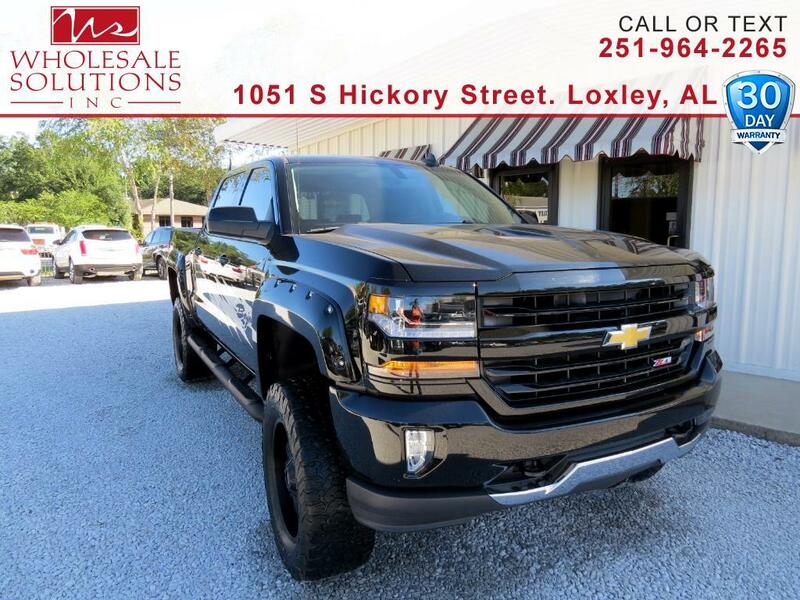 Used 2016 Chevrolet Silverado 1500 4WD Crew Cab 143.5" LT w/2LT for Sale in Loxley AL 36551 Wholesale Solutions Inc.
CARFAX One-Owner. *** LIFT KIT ***, ** Low Miles **, *** MANUFACTURE WARRANTY ***, Navigation, ** OFF ROAD WHEELS AND TIRES **, Z71 OFF ROAD PACKAGE, Aluminum Wheels, Appearance Package, Backup Camera, Bluetooth, Bose High End Sound Package, Tow Package, 110-Volt AC Power Outlet, ABS brakes, Compass, Dual-Zone Automatic Climate Control, Electric Rear-Window Defogger, Electronic Stability Control, Emergency communication system, Heated door mirrors, Illuminated entry, Low tire pressure warning, LT Convenience Package, Navigation System, Rear Vision Camera w/Dynamic Guide Lines, Remote Keyless Entry, Remote keyless entry, Remote Vehicle Starter System, Single Slot CD/MP3 Player, Theft Deterrent System (Unauthorized Entry), Traction control. Odometer is 21748 miles below market average! Clean CARFAX.